Ghassan Salameh is the Chairman and CEO of Rubix Holdings, a Social Media company and Technology Investment firm. Rubix has recently launched two global social media platforms, Baaz.com and Allmuze.com. 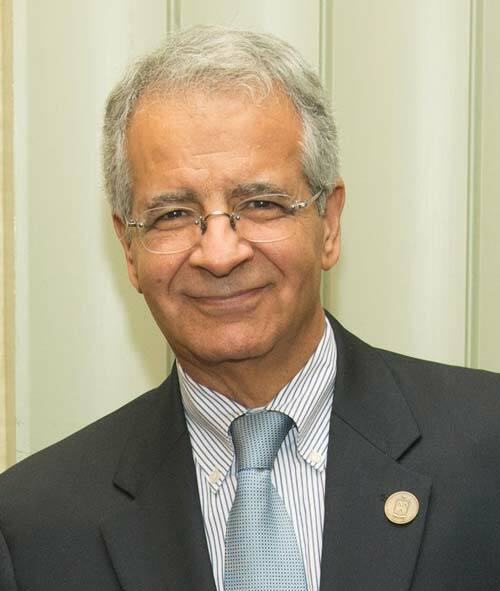 Prior to Rubix, Ghassan held several senior management positions at top global companies. Most recently, he was the Director of International Infrastructure business at CH2M, and prior to that he was Executive Vice President and Senior Partner at Booz Allen Hamilton. Ghassan’s family fled Palestine in 1948 and took refuge in Lebanon, where he was born. He attended UNRWA elementary schools and the Vatican sponsored High School for Palestinian refugees. At age 20, he came to the United States, put himself through college, and helped his family immigrate and settle in the U.S.